The TRA90BL9 is a 126L Victoria Black Dual Fuel Freestanding Oven/Stove from Smeg that comes with 5 shelf heights, triple-glazed oven door and features. 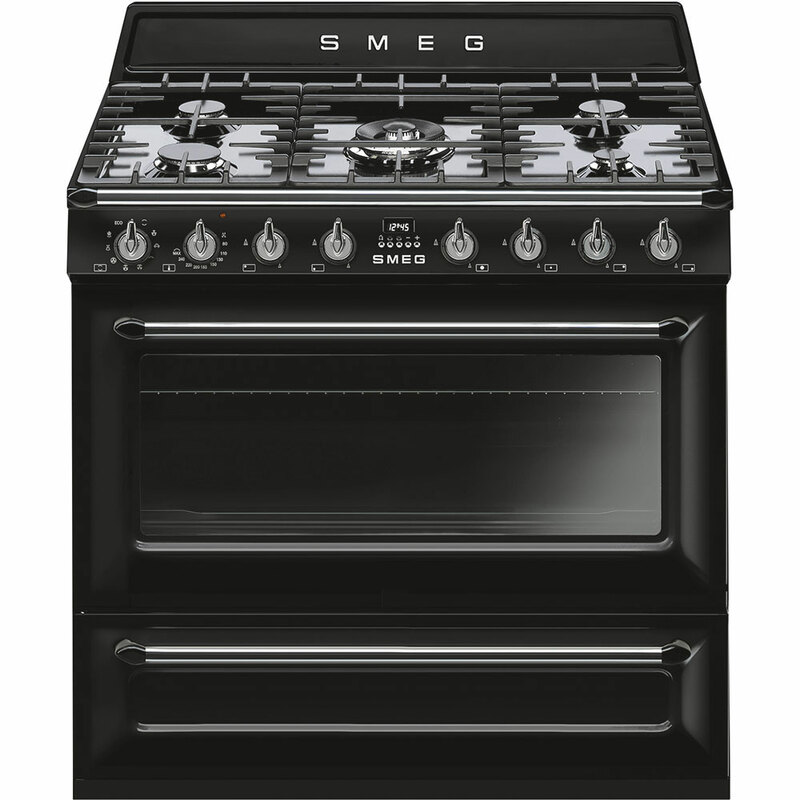 The seal of Smeg’s quality, technical excellence and taste: succulent roasts, crisp pastry and impressive baking is achieved in Smeg’s unique, perfectly controlled cooking environment. Thermoseal maintains the perfect atmospheric balance in the cavity for optimum cooking conditions. The new soft-close mechanism on Smeg’s oven doors ensures a two-stage soft and quiet close. Smeg’s quality hinges also ensure the door will not drop on opening, an intrinsic safety feature. 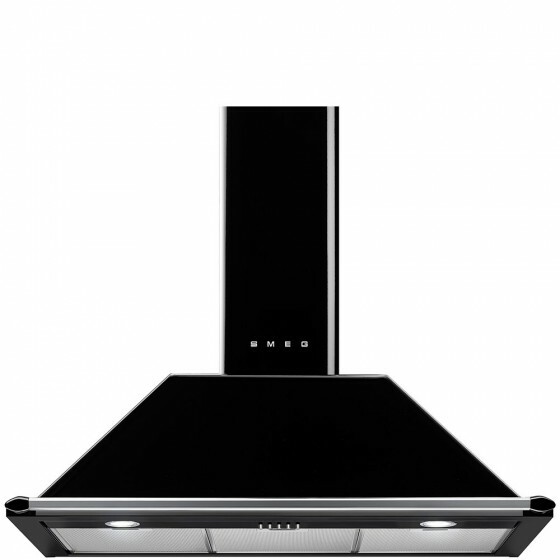 The Smeg 90cm Black Victoria Canopy Rangehood KT90BLA comes with 1 x 275W motor, 788m³/hr airflow and 2 x 2W LED (white) features.